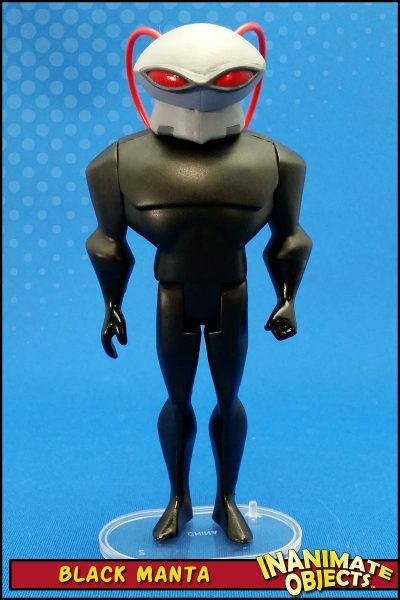 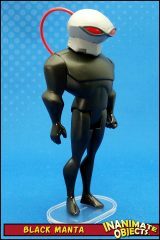 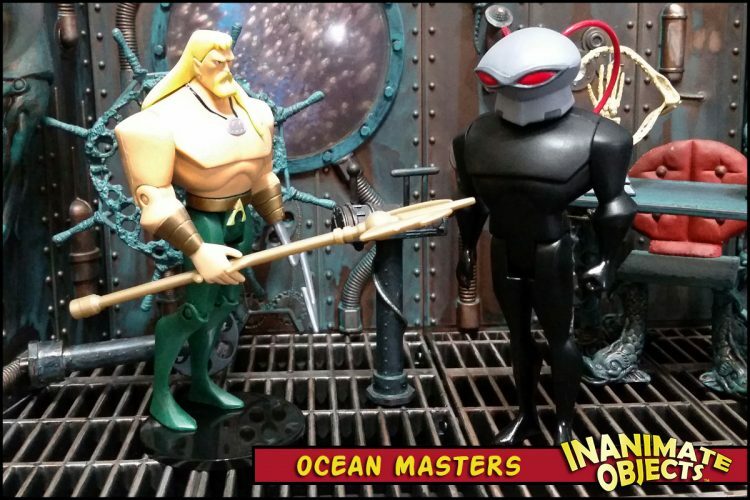 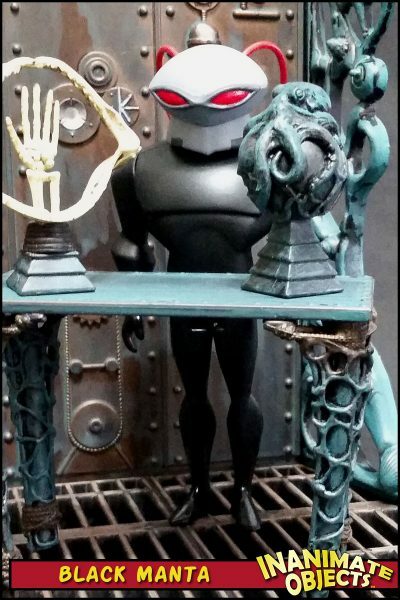 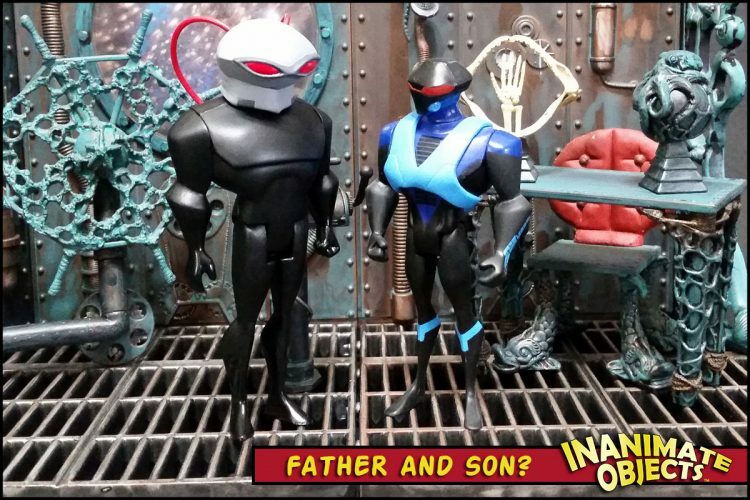 If I have my story straight, 37Customs was taking a lot of commissions for Black Manta figures using the head from the eponymous Imaginext figure. 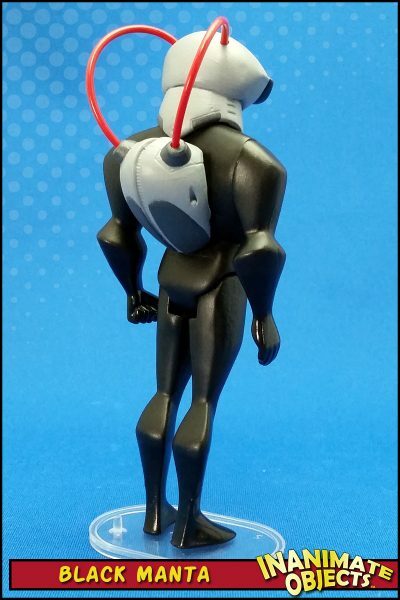 In order to improve efficiency, he asked Stew to cast a few copies of the head and backpack, allowing Stew the option to included Black Manta’s helmet and backpack in his store. 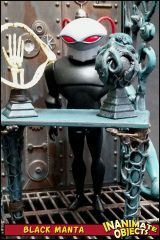 I merely took advantage of all their hard work! 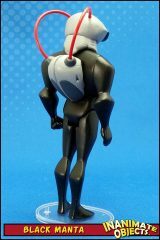 Mr. Manta is not a character I would have made on my own normally, but when the only work involved is gluing on a head and back pack, and then paint it black and grey, I’m in. I even copied Stew’s use of gloss for the gloves and boots. 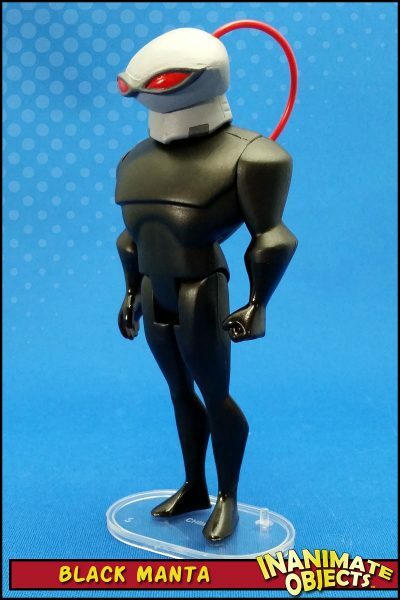 I earned my, lazy card on this one! The air tubes are simply red wire placed into drilled-out holes.